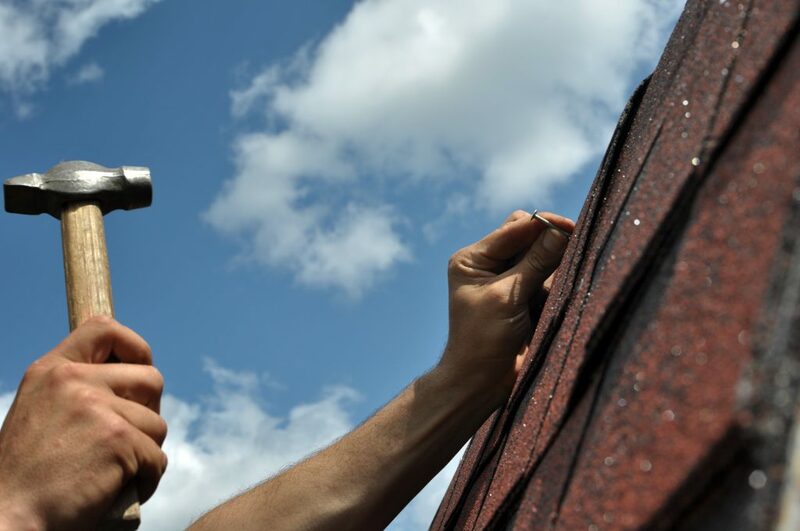 If your roof is still fairly new but has sustained some damages either from storms or other causes, you may not need a new roof installation. A roof repair may be more in order. When it comes to roofing problems in El Paso there are a few common repairs that pop up on a regular basis. Flashings are the flat metal components that are used to seal edges. They can be seen around chimneys, valleys, edges, skylights walls, and drains. These pieces are usually made from galvanized steel or aluminum. They can deteriorate with bad weather or just due to time. Oxidation can also cause problems with the flashings. This problem can also cause leaks that are hard to locate on the roof. Many people may not even realize what the roof fascia is. This is the smooth strip of trim around the perimeter of the roof’s edge. It is usually made of wood or metal. It is meant to act as a layer between the edge of the roof and the outdoor elements – namely water. It can protect from interior water damage. Of course they are also meant to have add a pleasant curb appeal. While they are meant to keep water out they can also be susceptible to water damage. The shingles of your roof can call for roof repairs as well. If you have had especially bad wind, which can be common in El Paso, you may end up swapping roof shingles with your neighbor. If the problem is not that bad you may just have a few shingles that are flapping in the breeze. While you may feel tempted to simply grab your nail gun and secure them, this can cause more problems than it helps. Improperly securing them can lead to penetrating the lower levels of roofing materials that waterproof the roof. This job is better left to an professional with expert tools and knowledge. If you are in need of a good roof repair be sure to give us a call at El Paso Roofing. Whether you are experiencing a leak or notice problems with the fascia or shingles, we can provide the expert help you need. When your roof needs repair but you aren’t ready for a new installation there are other options. Contact us today for more info or to set up an appointment.